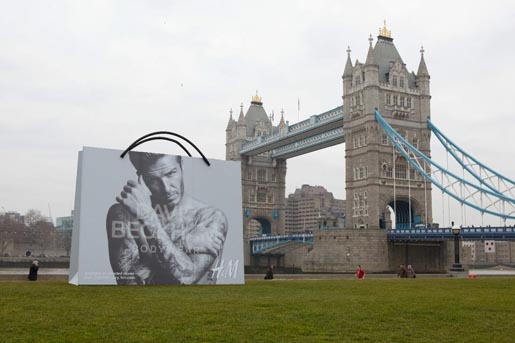 H&M (Hennes and Mauritz) is running a television commercial featuring David Beckham and his new bodywear collection, during the second quarter of the 2012 Super Bowl. Set to the song “Don’t Let Me Be Misunderstood” by The Animals, the 30-second spot features mages of Beckham modeling the collection. 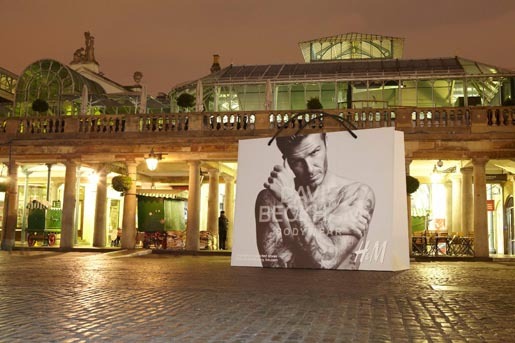 The camera angles range from close-ups to 360 views of Beckham sporting his tattoos and various pieces from the new line including briefs and trunks. The ad, which will air during the 2nd quarter of the Super Bowl, was shot in Hollywood earlier in the year. See below for the ad, behind the scenes video, and outdoor advertising associated with the brand launch. The introduction of the new bodywear line is supported by an integrated marketing effort with a mix of TV, national and local print, interactive/web and out-of-home advertising. H&M secured a large space in NYC on 8th Ave. & 34th Street to create intrigue and anticipation leading up to the big game. 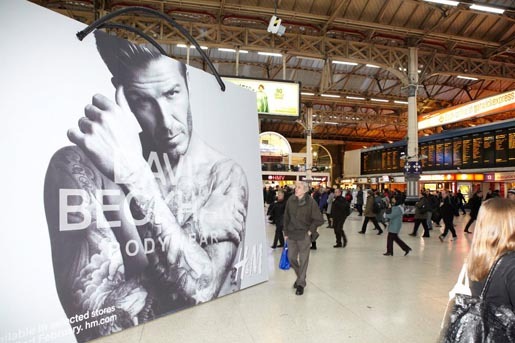 A full body-length image of David Beckham modeling the new trunks has been hand-painted over a period over the two weeks leading up to Super Bowl weekend. The process has been captured on video and will be shared as a time-lapse piece on www.YouTube.com/hm.